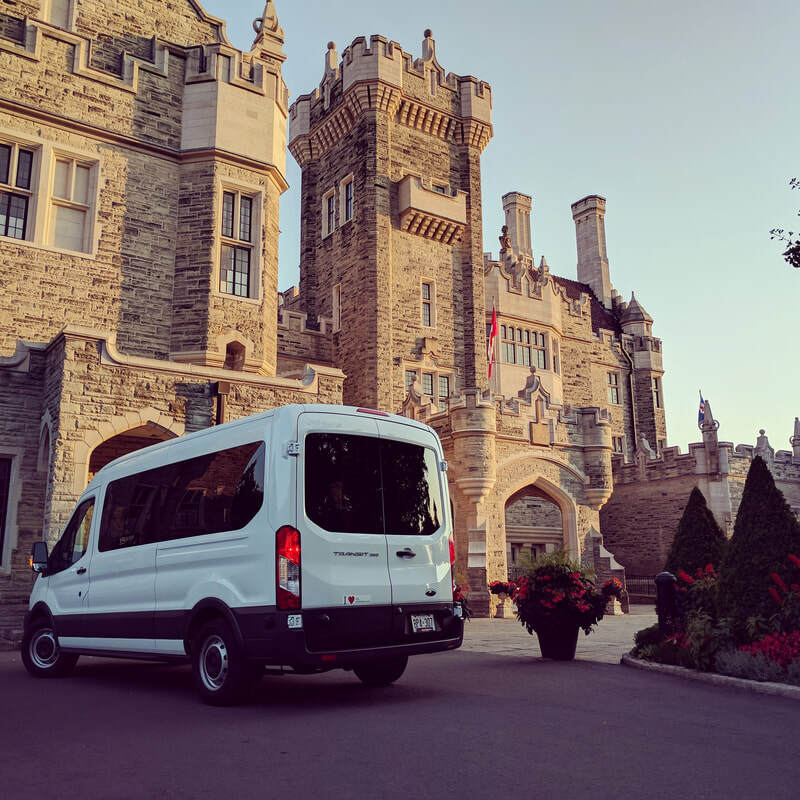 Toronto Tour - equinoxbus.com - Charter Bus & Sightseeing Tour Operator serving the Greater Toronto Area, Hamilton, Ottawa, Niagara Falls, London, Stratford, Kitchener-Waterloo, Guelph, Brantford, Burlington, Oakville, Cobourg, Belleville, Napanee and Buffalo, NY! 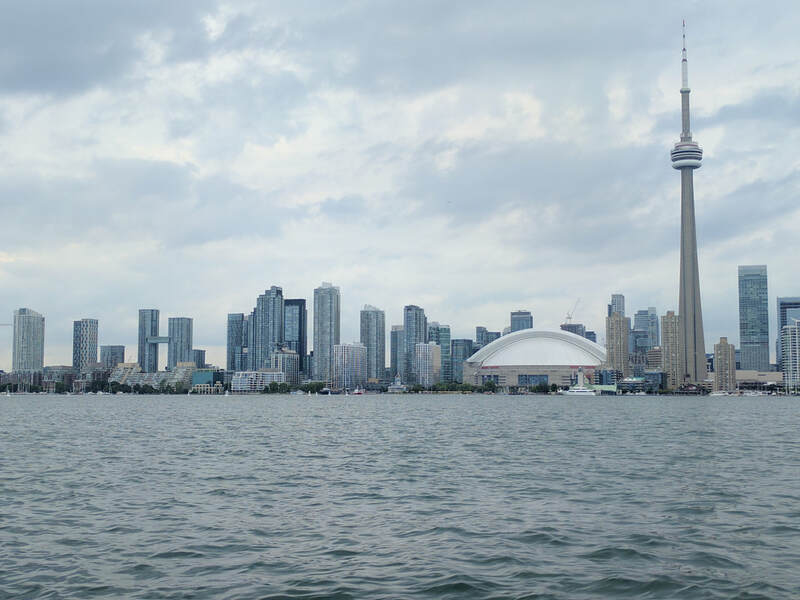 Enjoy a Boat Cruise of the Toronto Harbour and Islands! Also includes Buffet Lunch! Scroll down to a video to experience Toronto in 1 minute! Photo stop at Casa Loma, Toronto's Majestic Castle! Buffet Lunch in Scarborough, east of Downtown Toronto! 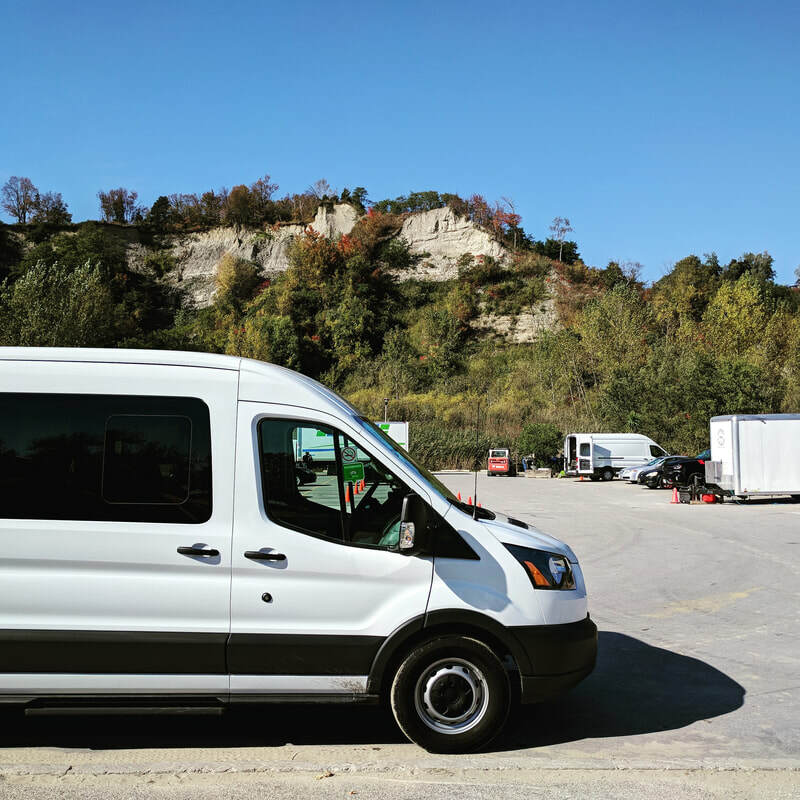 Photo stop at the Scarborough Bluffs, a hidden natural beauty! Boat Tour of the Toronto Habour and Islands! Visit popular areas such as the Financial District, Bloor-Yorkville, Chinatown & Kensington Market, University of Toronto, Entertainment District, Distillery District, OCAD University, Yonge-Dundas Square, St. Lawrence Market and more! Free time given to browse the CN Tower and Ripley's Aquarium on your own! Approximate return time is 6:30pm! This Tour starts at the intersection of Bay Street and Lakeshore Boulevard West at the Air Canada Centre, home the NHL's Toronto Maple Leafs and NBA's Toronto Raptors! On this Sightseeing part of the Tour we go up North on Bay Street towards our first Photo stop Casa Loma! Before we get to Casa Loma, we drive through the Financial District which all 5 of Canada's Main Banks are Headquartered! We then proceed up to Old City Hall then to the Hudson's Bay Flagship Store and then onto Yonge Street passing by the Eaton's Centre and Yonge-Dundas Square! We then pass by the trendy Bloor-Yorkville area to Casa Loma for a photo stop! We then proceed south towards the CN Tower for some free time, but before that we pass by the ROM (Royal Ontario Museum), Ontario Legislature and University of Toronto. We then continue through Chinatown & Kensington Market, OCAD University, 299 Queen Street West, the Entertainment District and then we stop at the CN Tower right beside the Roger's Centre home to MLB's Toronto Blue Jays for some free time! Lunch time is around the corner and we now proceed onto the elevated section of Gardiner Expressway going east to the Don Valley Parkway. We go north on the Don Valley Parkway to the former municipality of Scarborough to have Buffet Lunch! After having wonderful Lunch we proceed to South-east of Downtown Toronto to our final Photo stop of the Scarborough Bluffs, naturally made cliffs through years of erosion! We then proceed back to Downtown Toronto along the shores of Lake Ontario and we pass by the Distillery District and St. Lawrence Market! 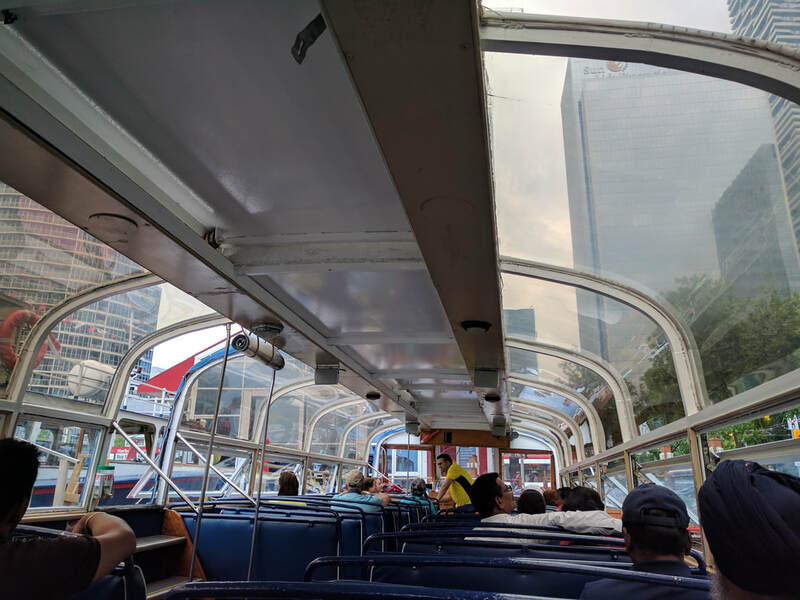 We then proceed for your boat tour of the Toronto Harbour and Islands! End the Tour with some more free time at Ripley's Aquarium! Get the same Sightseeing Service of a Hop-on, Hop-off Tour service but with Lunch! Cancellations 48 hours or less from day and time of departure, only 70% of the fare will be refunded. Re-booking is allowed with penalty, however if the day you wish to re-book is unavailable, the above policy is in effect. Equinox Bus Lines reserves the right to cancel Tours due to inclement weather and there will be no penalty on refunds or if you wish to re-book your Tour for another day. There will be no refunds of any kind should inclement weather happen during the Boat Cruise or any other parts of the Tour. Should you choose not to part take in the Boat Cruise or Buffet Lunch, or you show up to the named Tour(s) late, you are considered a no show and the vendors will not refund our reservation fees and therefore we will not issue any refunds of any kind. Participants who are not residents of Ontario should purchase Travel Insurance prior to departure. Our Insurance only covers Bodily Injury and Property Damage in an event of a Collision.